This post is about the not-so-popular yet powerful feature of Gmail’s Send Mail As option, and how it recently changed its mechanics of using it from free to proprietary. Many of you probably aren’t aware of this but I’ve been using this feature for awhile until recently. When you have a domain name and your domain registrar offers free mail forwarding, you can use your Gmail to send as your preferred email address using your domain name. When you go to Gmail’s Settings > Accounts and Import, scroll down to Send Mail As and click Add another email address you own you should be able to add another email address as long as it could successfully forward emails to your Gmail address. 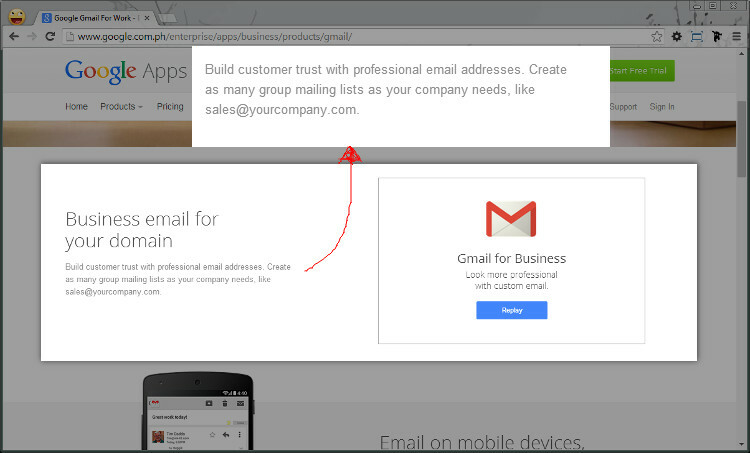 After a little research, I then discovered that they recently introduced Google Apps for Business - one feature is that you can create email addresses via Gmail using your domain name. But I’ve been doing this for a while now using their old Send Mail As settings. With the new settings, the user is now required to add SMTP settings to move on with the Send Mail As option, they have to get and pay for email hosting - which throws away the reason why we can use basic mail forwarding for Gmail. It followed Yahoo!’s Small Business (previously Yahoo! Mail Plus) paid plan to customize the email you’ll be using to reply to a forwarded email - which is supposedly your custom email, not your Yahoo! email or Gmail. The most disappointing thing here is, I was in a middle of a project and already told the client that we could use Gmail for free when they are using their own domain name for their employee’s email addresses. There’s a workaround here but it doesn’t work as good as before. 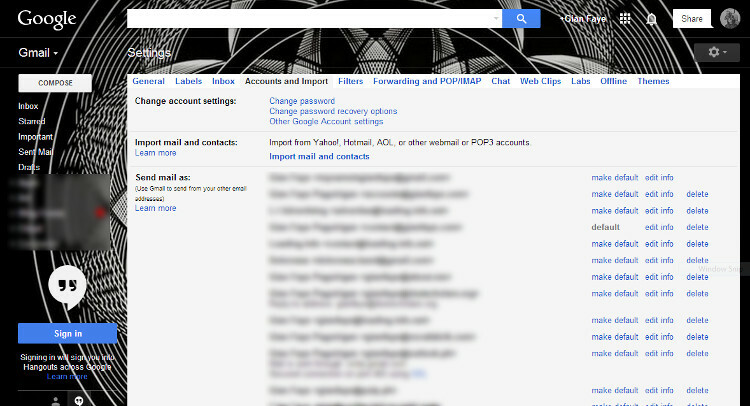 You can still use Gmail’s SMTP settings but with a few security drawbacks. So it says, first you must visit http://www.google.com/accounts/DisplayUnlockCaptcha and click on Continue. Second, you must allow less secure apps access your account and click Enable. Meaning, you are now more risk to security vulnerabilities because enabling this will (well as it says) allow less secure apps access your account. Also, you cannot receive more than one email every 10 minutes or else it will block the sender. (This no longer applies and you can receive emails within seconds. Thank you, Ben Harrison for letting us know.) And if you enable the 2-Step verification process you might have to disable it. Tip: If you don't want to sacrifice the security of your account you can create/ use another Gmail account you own for this purpose. Just use that Gmail address and its password on the SMTP settings and it should work fine. Google gave mercy to the email addresses you already added prior to the update so this will only affect new email addresses you’ll be sending mail as. It’s quite frustrating, yeah. But what can we do? Google isn’t satisfied with putting ads on your Gmail inbox, they’re now charging you for using their free(?) Gmail because you’ll make the @gmail.com less popular by using your own domain name. ← Strawberryjam Creative Services, Inc.